Honda has officially confirmed it will be putting a road-going version of the RC213V into production for 2014 as it tries to give a massive boost of excitement to the Honda brand. 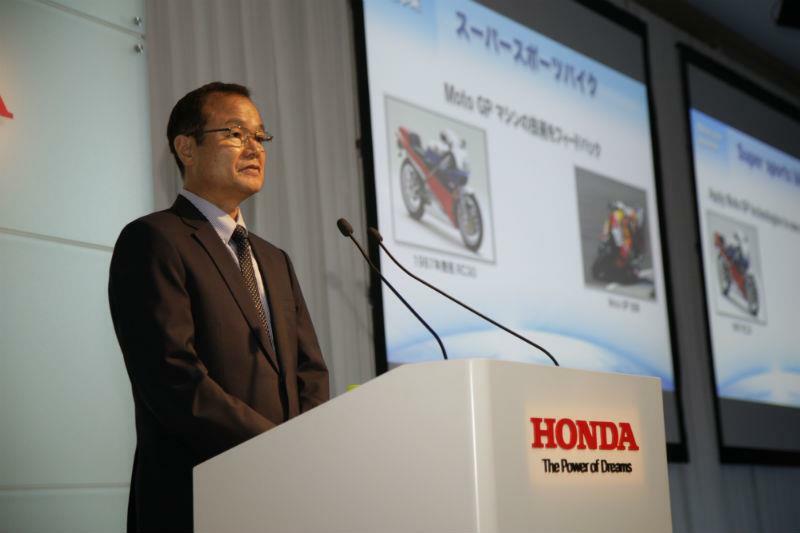 Honda boss Takanobu Ito made the announcement on today (Friday) in Tokyo as part of a bigger speech outlining the future of the firm. The RC213V production bike being presented as a halo bike which will be hugely expensive and strictly limited in numbers. This is definitely not a replacement for the CBR1000RR Fireblade and will be more akin to the £40,000 Ducati Desmosedici RR which sold out and was built in bigger numbers than first planned despite a massive price tag. The rumours of a road-going Honda based on a MotoGP bike have been doing the rounds since the World Championship ditched 500cc two-strokes in favour of four-stroke 1000cc machines in 2003. It's known Honda was very close to putting a 1000cc V5 into production in 2006 but this never happened for reasons known only to Honda. Honda is now ready to make the leap and in part this may be helped by the firm's decision to make a run of customer specification engines for the Claiming Rule Teams (CRT) in 2013 which will change the way the engines are made. Ito said: “Since its market introduction in 1987, the RC30 (VFR750R) super sports bike has been loved by a large number of fans. A full MCN investigation into this story will be in the September 26 issue on sale next week.